With fancy technology and flashy light shows, today’s automatic market can, at first, seem like it’s leaving self-service car washing behind. With fancy technology and flashy light shows, today’s automatic market can, at first, seem like it’s leaving self-service car washing behind. Sure, a lot of drivers like to wash their own cars — but is it actuallypossible for a self-serve location to keep up with a new express tunnel down the street? 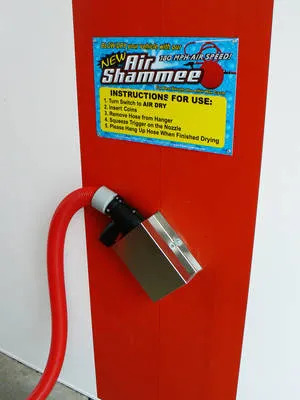 Add an in-bay handheld dryer. In short, yes. Self-serve car washing remains an integral part of the car wash industry. It meets the needs of countless drivers who don’t want to entrust their vehicles to another person or machine. According to the Auto Laundry News 2018 Self-Serve Survey, more than 80 percent of responding operators reported consistent or higher levels of income over the past three years. The International Car Wash Association reports that 72 percent of drivers washed their car most frequently at a professional wash in 2014, an increase from only 47 percent in 1994. The market has met this demand by an increase in car wash properties of all types. In fact, the ICA estimates there are around 80,000 car washes in North America. Self-service establishments occupy close to a third of this market. 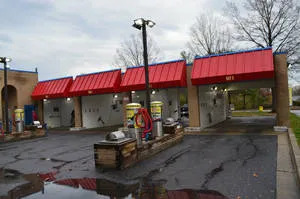 “This shows [self-serve] still meets the needs of countless drivers, and there is still room for the operators who continue to invest in their businesses,” said Keith Lutz, Kleen-Rite Corp. vice president and car wash operator. Yet the days of a simple concrete box with some water and soap are gone. 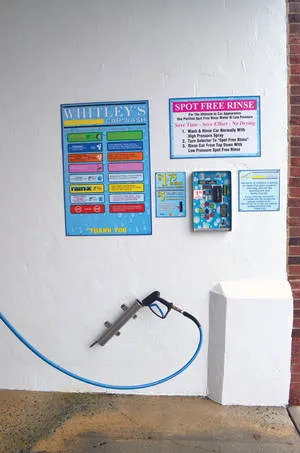 Today’s patrons expect specialized features and treatments at any car wash. As such, self-service washes can take a page out of the automatic playbook and impress customers with a wide variety of options. “Don’t worry — compete,” says Lutz. High-pressure soap, rinse, wax, foam brush: these are the basic consumer expectations for a self-serve wash. Classic options that hail back to the earliest days of self-serve car washing — a place to go if you didn’t have a driveway. This kind of bare bones, “old school” setup might still work in spots where there are no competitors for miles. In most urban, suburban, and even rural markets, though, drivers have their choice of car wash. This means that branding — and unique features — are key. Most drivers can recognize a self-serve car wash on sight. But can they recognize your wash on sight? Lutz recommends evaluating curb appeal at self-serve car washes. Operators who have many properties can replicate the same look at each, establishing a consistent brand. Landscaping, banners, and bright decals create a welcoming environment. Well painted, shining walls make bays look fresh and new — not run down and dubious. The sight of a rundown wash can actually make customers doubt that the equipment will work well. From a security perspective, bright LED lighting gives customers a sense of safety, while video cameras can help operators keep tabs on various properties. When combined, each of these factors contributes to a satisfying customer experience. This immediate boost can benefit a lagging wash — even before digging into available functions or features. To keep customers, operators need to go further than curbside updates. It’s great if your self-service wash looks as pretty as the new express down the street, but what else can you offer? If available functions aren’t up to par, customers may drift back to a competitor. These additions can attract drivers who want to use specialized formulas, but would prefer to wash their own cars. Now, these drivers no longer have to sacrifice one desire for another. Your wash can provide them the best of both worlds. Operators interested in going even further may wish to consider adding services such as tire air and windshield washer fluid. By offering these services on the meter box, operators increase driver convenience and distinguish themselves as a one-stop car care location. For operators who have space, adding a dedicated dog wash can be an excellent revenue booster. 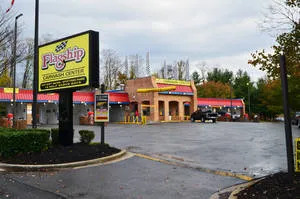 Regular patrons with dogs now have a reason to visit again (and spend more), while someone who has a dog, but no car, now has a reason to visit your car wash.
Lutz also recommends that car wash operators consider how to maximize their lots. Ignoring vending machines can impact profits in a negative way. Lutz considers vending machines to be another “silent salesman” for car washes. Glass-front vending machines allow operators to sell a wide variety of products in one spot. Towels, air fresheners, glass cleaner, tire shine, and interior detailing products can all keep drivers on your lot longer. 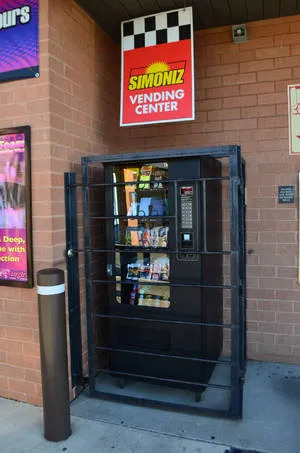 Lutz also recommends installing bill breakers near your vending stations. Many ATM machines only dispense $20 bills, and it’s a common denomination in drivers’ wallets. Customers don’t want 80 quarters from the change machine. A bill breaker adds extra convenience and allows patrons to leave with a mix of smaller bills and coins. 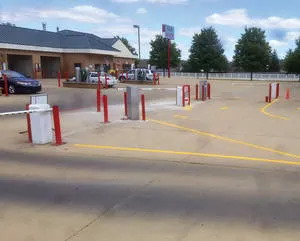 When focusing on lot improvements, consider how to attract drivers for services other than a car wash. The ICA reports that only 27 percent of car wash patrons visit several times per month. That leaves 73 percent of patrons who don’t visit the car wash as often as they should. Adding tire air and plenty of vacuums to the property can attract those infrequent patrons between washes. Improving curb appeal and expanding available services can help give self-serve car washes a great boost in today’s market. But how can operators future-proof their self-serve bays and keep new customers? A great first step is to ensure that your wash accepts all current payment methods. Add-on swipers make it easy to convert existing equipment to accept credit cards. Operators should also keep an eye out for developments in equipment that accepts contactless payment, such as a credit card stored on a phone. With the rise of contactless payment, many automatic car washes now have unlimited wash programs. Customers pay a flat monthly fee and scan a barcode on their car or phone at each visit. Not only are such programs convenient for the driver, they also ensure a consistent profit. Self-serve operators should consider if there is an effective way to use an unlimited program at self-serve bays. Operators can also consider ways to completely reinvent the concept of what a self-serve wash means. There is, of course, a do-it-yourself aspect, but how operators present it might change. One such concept is the gated car wash, where self-serve customers pay one flat fee to enter and have unlimited time and access to the resources within. This out-of-the-box model is growing slowly in the southern United States, and many operators find that the arrangement increases security as well as profits. Any investment into a self-serve wash is positive. Taking small steps to improve your wash bay by bay, or function by function, can go a long way. As long as there are car owners, there will be folks who want to wash their own vehicles. Show them that your wash is the cleanest, most convenient, and feature-packed business. With dedicated branding, pride in appearance, and attention to innovation, self-serve car washes can remain strong competitors to automatics, and continue to be an important part of the car wash industry. Emily Gertenbach is senior copywriter and social media specialist at Columbia, PA-based Kleen-Rite Corp. You can visit the company on the web at www.kleen-ritecorp.com.